the Supreme Props (BUG FIXES & LOD) integration into FAF is almost done. I tested the changes and it works. But some questions came up (see next post), where I need an answer to progress. Please take a moment and look at my changes before they make it into github. The pictures below shows an overview over my workflow - what and why I did it. And here is an .xls change file, that shows the current vs new bp value column by column (yellow marks changes, pink questions). Last edited by svenni_badbwoi on 21 Jan 2019, 19:56, edited 1 time in total. - should they become unreclaimable to be used more often as map element? - should it stay a map element (same procedure like above^) or should it be reclaimable? - should I try to fix those as well? can someone tell me what CollisionOffsetX, CollisionOffsetZ and CollisionOffsetz exactly does? I thought I can correct a misplaced model origin with that, but its not working like I hoped it would. Seems to do nothing..
Last edited by svenni_badbwoi on 20 Jan 2019, 22:04, edited 1 time in total. is the collision box determined by sizeX,Y,Z? than my approach should work..
it workes, but unfortunately its not affecting the blocks area what I was aiming for. It only seems to be used to break a tree group into single elements. Does anybody know how I could create an offset for the blocked area (green), to fix misplaced model origins without changing the model itself? I made a pretty picture with the original prop values to explain my reclaim value changes. NOTE: The applied values match "mass_value A", except "D", special "M" and "map elements"
Last edited by svenni_badbwoi on 13 Mar 2019, 00:47, edited 2 times in total. BUG & LOD FIXES are integrated like in the original mod. The reclaim values remain mostly untouched, except I considered them as BUG FIXES. The props I touched reclaim wise are highlighted in the picture, see here: viewtopic.php?f=41&t=15934&p=171871#p171312 The applied values match "mass_value A", except "D", special "M" and "map elements". - added new 'Oak01_Group2_LOD2_albedo.dds' to fix shade error! I prepared the following file to start a discussion about the lovely reclaim value changes. The file displays the changes for each of the 57 props in question and the reason why it should be changed. Pictures are added to get a feel for size ratio. Please enter your thoughts and return the file to me (svenni_badbwoi: forum, discord, slack). -Only use filter, sorting will change the picture order. These changes are "no cosmetic changes" like LOD! So far the mapping community seems to welcome the changes. The applied values match "mass_value A", except "D", special "M" and "map elements". I recommend launching the fa_props map to compare all props and themes. I intend to make the reclaim value of a prop more intuitive and also enable map makers to use all the themes for there maps (e.g. make a crystal map without ending up with mad reclaim values). 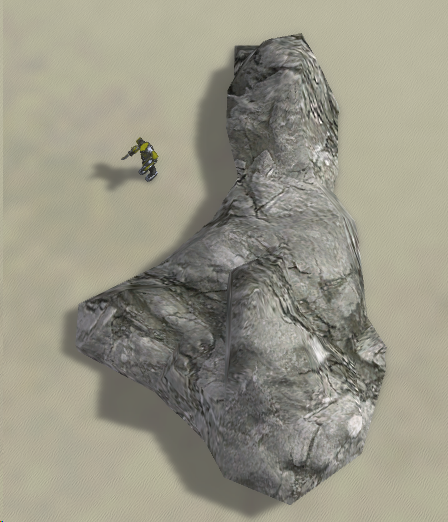 The general idea is to fix bugged props (different value as props of same size and type) and improve the 300 mass props (most -if not all- of these props seems to be unfinished, because they have a copy&paste bp from the largest rock prop in the game "/Evergreen/Props/Rocks/SeaRock02_prop.bp"). 2) Structures could become map element too. So no value needs to be applied and they simply block path. But its kinda strange, because we are able to reclaim buildings of the same size all day in game. I'm open for suggestions and look forward to your feedback.